A Brooklyn street photography image in black and white of a few FDNY firefighters, New York’s Bravest, responding to a call in the Fulton Mall shopping area. The Fulton Mall is a great location to study street photography because there are crowds of people and there is always something going on. 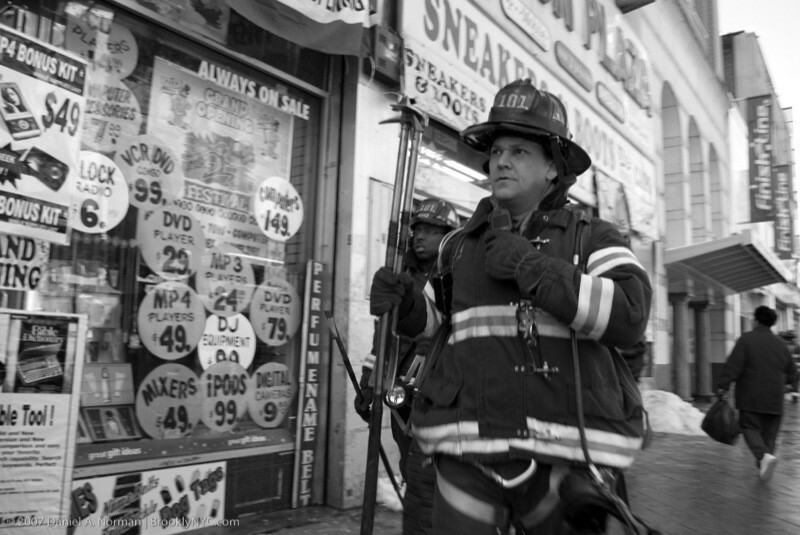 This entry was posted in New York Street Photography (BW) and tagged black and white, brooklyn, brooklyn photography, fdny, fighter, fire, fire fighter, fulton, fulton mall, new yorks bravest, nyc, street photography.